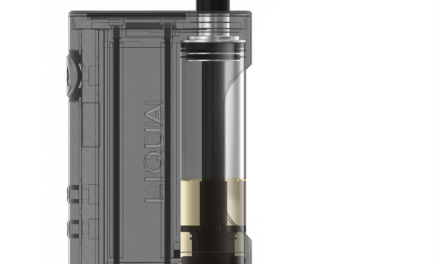 You probably have seen a lot of people using E-cigarettes and wondered what all the fuss is about? Well, E-cigarettes are a synthetic alternative to conventional smoking. E-Cigarettes are slightly heavier than a normal cigarette, this is due to the fact that the e-cigarettes case contains a battery and electronic components that help the device to function. E-Cigarettes do not taste like ordinary cigarettes, even though you can purchase a large number of E-Liquids that apparently taste like the real thing, it is different and this is one of the things that puts a lot of people off them. It very important that when purchasing your E-cigarette and accessories that you focus on quality as this will save you a lot of money and frustration in time. The same goes for buying your E-liquid, find a brand you like and then stick to it, there will be a lot of choices and the sad reality is that not all companies manufacture to the best practice levels. This means you could be actually buying a E-liquid that seems affordable, but is actually dangerous for your health. Like cigarette smoking, people smoking e-cigs can overdo it. You will know when you are over-doing it, and you shouldn’t be smoking your e-cig 24/7. The length of time your liquid will last is dependent entirely on the user. If you are ‘vaping’ continuously, you will go through more liquid than someone who ‘vapes’ occasionally. Today, you can find the ingredients on any reputable e-cig website. Amongst those ingredients is propylene glycol. Propylene Glycol is an organic additive which is normally found in cake mixes and food colouring, and should not be confused with diethylene glycol which is found in anti-freeze. Tobacco cigarettes contain nicotine and tar, but few know what else is found in tobacco cigarettes. Maybe it is time to do some research, and you decide whether e-cigarettes would be a better choice. If you liked this article and would like to know more about our products or services, please do not hesitate to contact us today! 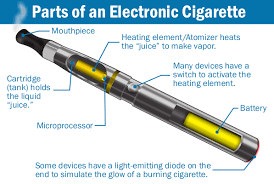 What is a E Cigarette?